Club legends? I do hope you read and enjoyed the first part of this piece. It highlighted suggestions by club Message Board users for their Barnet Legends. Favourite players are one thing, as at last count when asked my favourite ever Bee I worked out a short list of 23! However a Legend has to have more about him (or her). 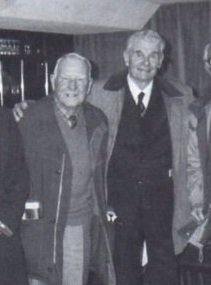 The argument it a mammoth one and rightly about personal opinion – so with apologies in advance I offer you my three indisputable Barnet Football Club Legends and then.......the Nearly Men! 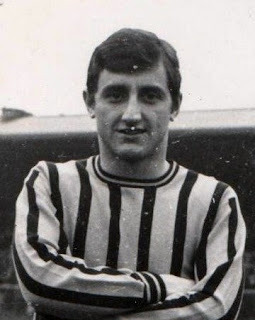 Legend - Les Eason – A club record 648 appearances with over 300 goals, Les will always be held in the highest esteem by Barnet supporters as illustrated by the Supporters Associations recognition award of ‘Barnet FC Player Of The 1960’s’. He is without doubt one of non league footballs’ all time greats and rarely put a foot wrong on the pitch and never seemed to have a bad game. 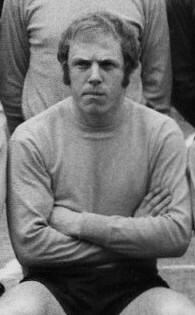 A Dexter Adams signing in 1965 Eason graced the turf at Underhill until 1978 and built up no less that four wonderful striking partnerships with all time great Bees Roger Figg, Billy Meadows, Lou Adams and John Fairbrother. 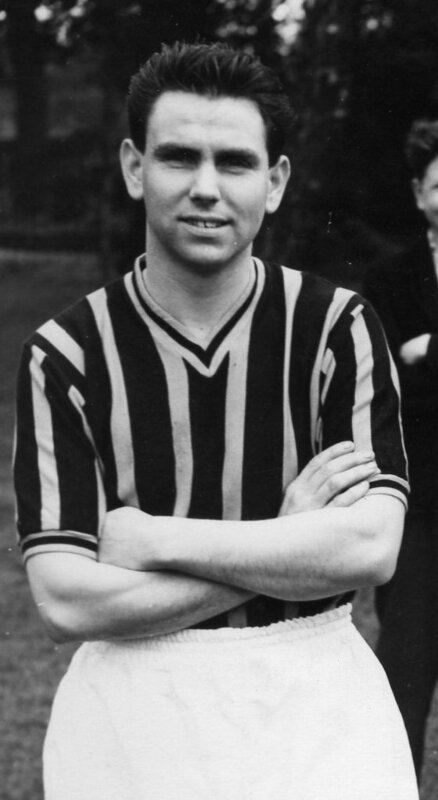 He fittingly finished his career at Barnet playing in midfield alongside his idol Jimmy Greaves. 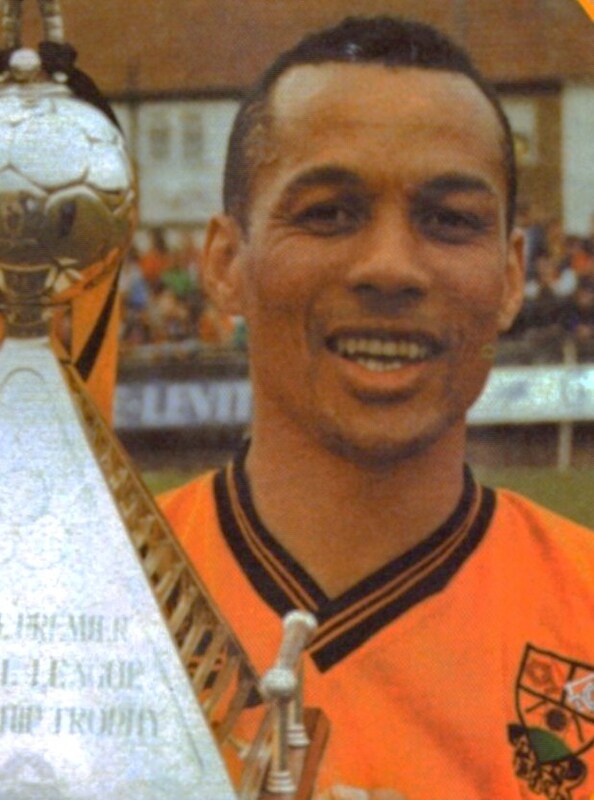 Clubs had made bids for him year after year but he simply loved playing for Barnet. 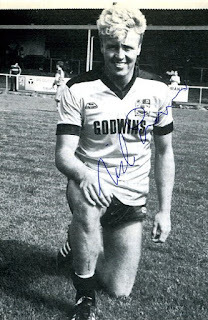 A shy man who still frequents Barnet home games and whose footballing mind is still as sharp as his finishing skills. It is difficult to explain exactly why but it is somehow rather special to be in his company and I see him a lot. It is still plaintively obvious that he is extremely fond of the club too that idolised him for well over a decade. Barnet Legend. 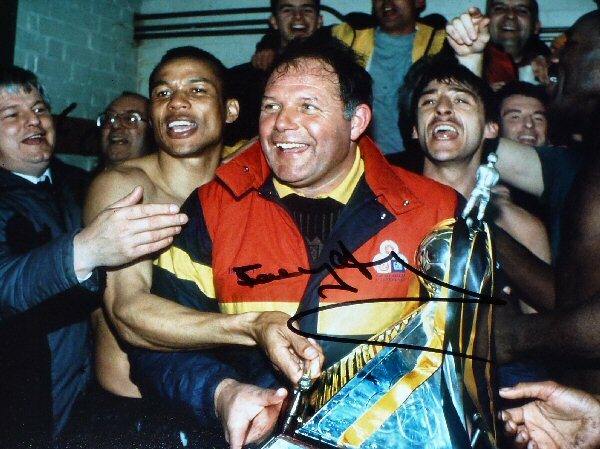 Legend - Barry Fry – Everybody loves Barry Fry, don't they? Barry is a Legend not just because he was arrested for clearing the Underhill pitch of snow on a Christmas morning or re-mortgaging his house to aid the club or allegedly being sacked 19 times by Chairman Stan Flashman - there was the little matter of producing a team to win the Vauxhall Conference and promotion to the Football League while scoring 103 League goals after three times out of four finishing second. During Barry's rein the football played was as exciting if not more exciting than that delivered by the great Barnet teams of the 1960’s and the early 1970’s it was a privilege to be part of it. Attendances trebled, players of real class came and went, some for colossal transfer fees. Andy Clarke £350,000 to Wimbledon, Phil Gridelet £175,000 to Barnsley and most incredible of all Lee Payne £125.000 to Newcastle after just a handful of appearances are just some examples. Kenny Lowe, Mark Carter, Nicky Evans, Paul Showler, David Howell and others arrived, players of class and quality. There was constant publicity, we were in the tabloid press everyday, and every club wanted to beat us. They were exhilarating times and it was exhilarating to be a supporter. I have not been given enough space to entertain you all with stories that surrounded him. Barnet Legend. Legend - Lester Finch – A foundation stone and the first pioneer who helped to establish Barnet Football Club as one of the finest outside of the Football League. 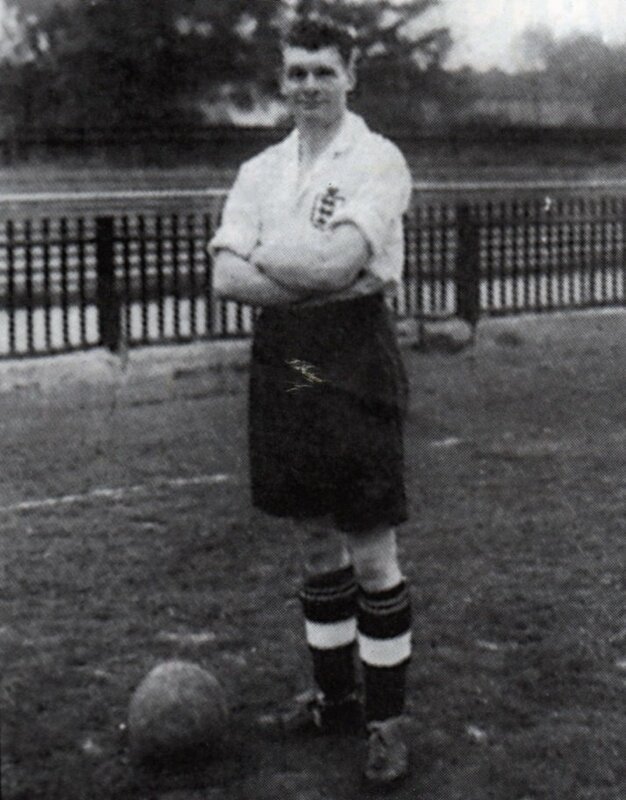 A player from 1928 until 1953 - although five years of World War interrupted his 500 game, 226 goal career at Underhill. 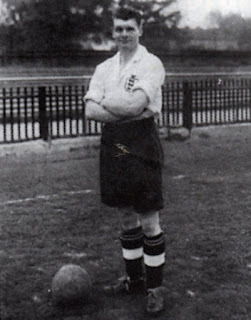 116 representative matches and a further 73 goals, including 24 England Amateur International caps plus one full England cap plus a British Berlin Olympic athletic in 1936. Impressive? Certainly but just part of the Finch/Barnet folklore. 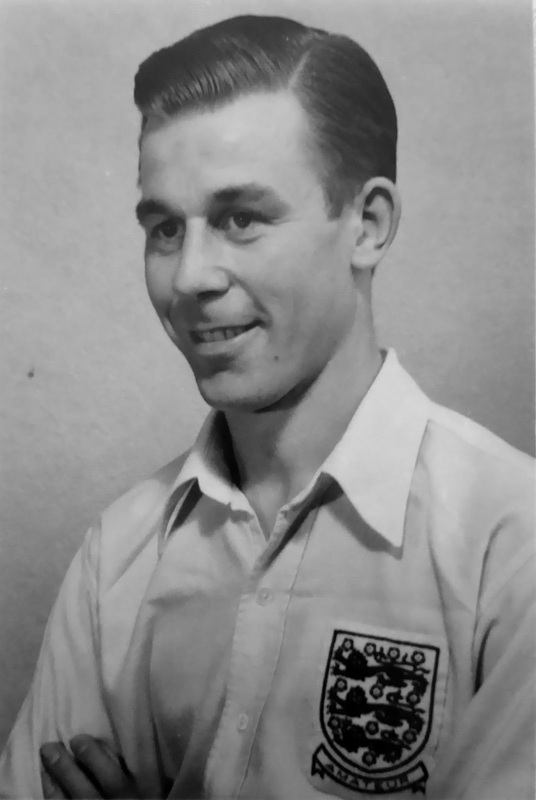 He won 4 Athenian League medals and an Amateur Cup winner medal, while Capitan and club secretary. 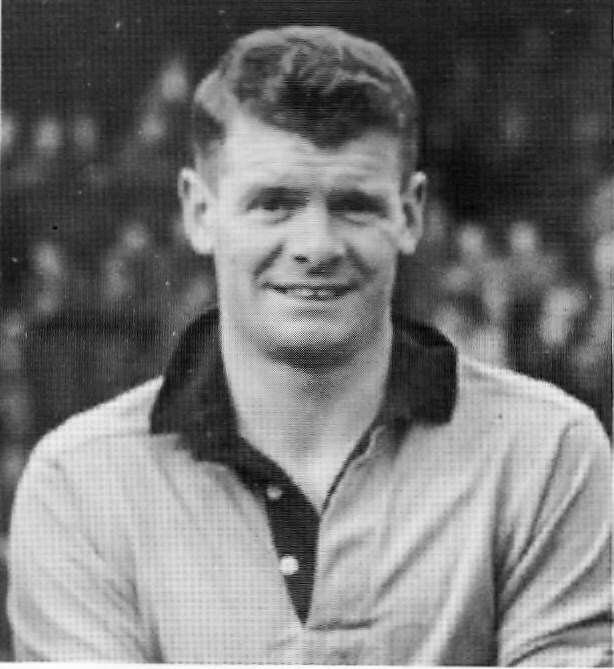 Lester managed the club between 1946 and 1953 and served on the committee for years thereafter. An Ambassador for the club is an understatement and anyone, be it player, supporter or acquaintance, will all tell you that he was the complete gentleman. 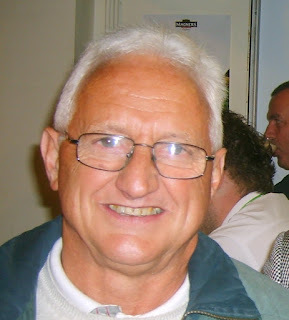 He very rarely missed a Barnet home game as a spectator either and could be found in the main stand always ready to discuss the events of the day or to recollect the great times of the past with a big grin on his face. It doesn’t really end there, as in later years he accepted the invitation to become President of the Barnet Football Club Supporters Association. Finally Barnet Council asked Lester’s permission to even name a road after him – Finch Close – which runs parallel to Barnet Lane. Lester passed away in 1995. Barnet Legend and some! So who were the “Nearly Men” I pondered over? 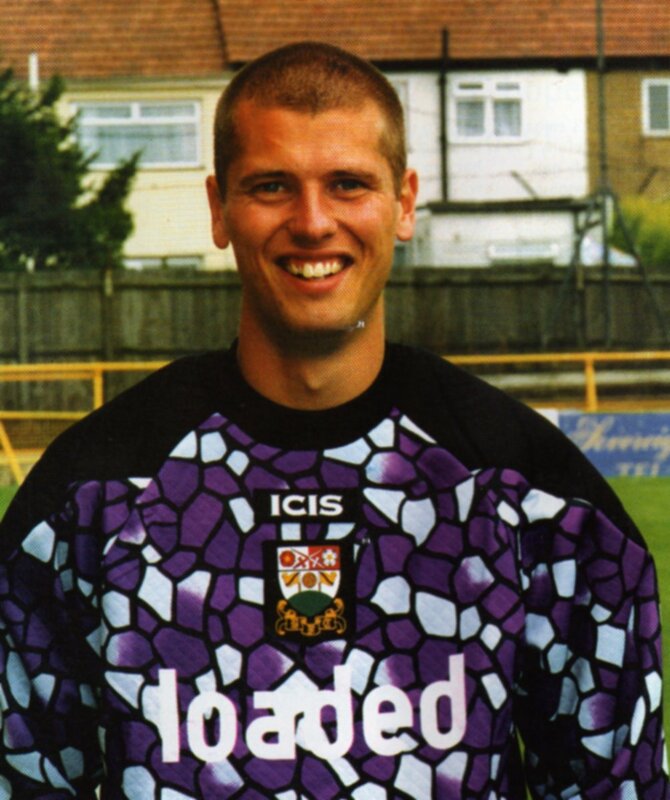 Gary Phillips, who spent 15 seasons at Underhill as a player and player/manager and later a coach, and was a major factor in ensuring Barnet's survival during the Summer of 1993 securing a squad from absolutely nothing to represent the club in Division 2. Dexter Adams, manager at the club from 1962-1970 who was responsible for overseeing Barnet's transition from its powerful Amateur status to its feared and much revered Semi Professional one. Martin Allen and Paul Fairclough created teams that won promotion from the Conference. Nicky Evans, who is ultimately my favourite all time player and seen as “God” in the eyes of so many who saw him play at Underhill for his goals, his charisma and his looks! 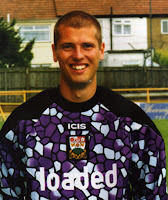 Lee Harrison, a dear friend and the ultimate Ambassador for Barnet FC plus three times in succession Player of the Year. Ricky George, for his devotion to the club during that Summer of 1993 alongside Gary Phillips and another “without whom” nominee. Edwin Stein, 500 appearances/Club Captain/Assistant Manager/Manager and amber blooded servant for over a decade. 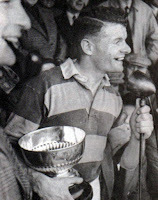 Alf D'arcy, the finest centre half in the clubs history never to have become a professional, and every player who played for and against him will tell you the same and also another who has become a dear friend over the years. Sorry Gentlemen but there always has to be a winner, or in this case three!